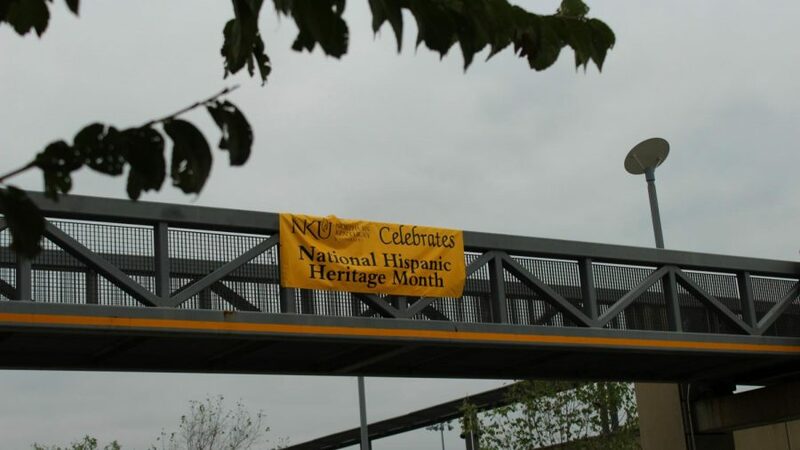 Hispanic Heritage Month was between Sept. 1 to Oct. 15. The gray, open spaces of Lawrenceburg, Indiana contrasted with the colorful, tightly packed landscape of Puerto Plata, Dominican Republic: Nykarlis Santos Nuñez’s home until the age of 12. 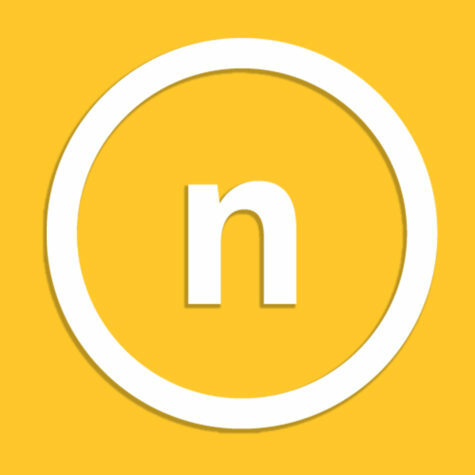 Nuñez, who was raised by her grandmother, moved to the United States to be with her mother and step-dad, including her half-brother, half-sister and step-grandparents. Even though her siblings were half-Dominican, they were mostly American. Out of 1500 kids at her school, she said she was the only Latina. 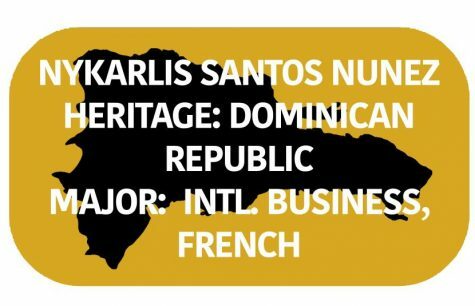 Now a fourth-year double major in French and international business at NKU, Nuñez said if it were not for the Latino Programs and Services office, she probably would not have stuck around. Now, she has taken on a multitude of titles: a third-time Resident Assistant, a mentor in LAMP, president of the French club, and a Zumba instructor, the latter of which has allowed her to connect back to her roots. Ironically, it wasn’t until she came to the states that she began to dance. Nykarlis Santos Nunez with her mother, who she moved to Indiana at the age of 12 to be with. Though she is now immersed in her American lifestyle, Nuñez recalled the family dynamic inherent to her culture. They would buy the coffee throughout the day in small packets–it was often Nuñez who made trips to buy it–brewing it from the morning all the way to the evening, where shee said family would grab chairs, take them outside and talk about life. As far as food goes, her favorite is pigeon peas, made with spices and pollo al sillao–similar to rotisserie chicken–with fried plantains and a side of avocados and salad made of cabbage rather than lettuce tossed in vinaigrette. Throughout the nine-year period she has been in the U.S., she has only been home twice. It’s been three years she has last visited. This December, she hopes to return for the Christmas season. 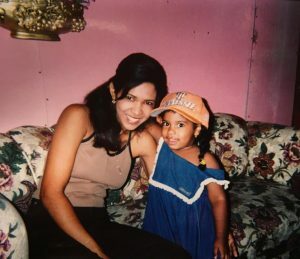 Since her family in the Dominican Republic does not own computers, they mostly communicate via Facebook through cell phones or Whatsapp, a popular choice for international users. Obviously, Nuñez said, they know she loves them. She loves her culture as well, and misses her grandmother, the beaches, and fresh, homemade food; her childhood is infused with aromatic coffee, and a community that was always there, leaning on one another, backdropped by a cityscape dusted in vibrancy. 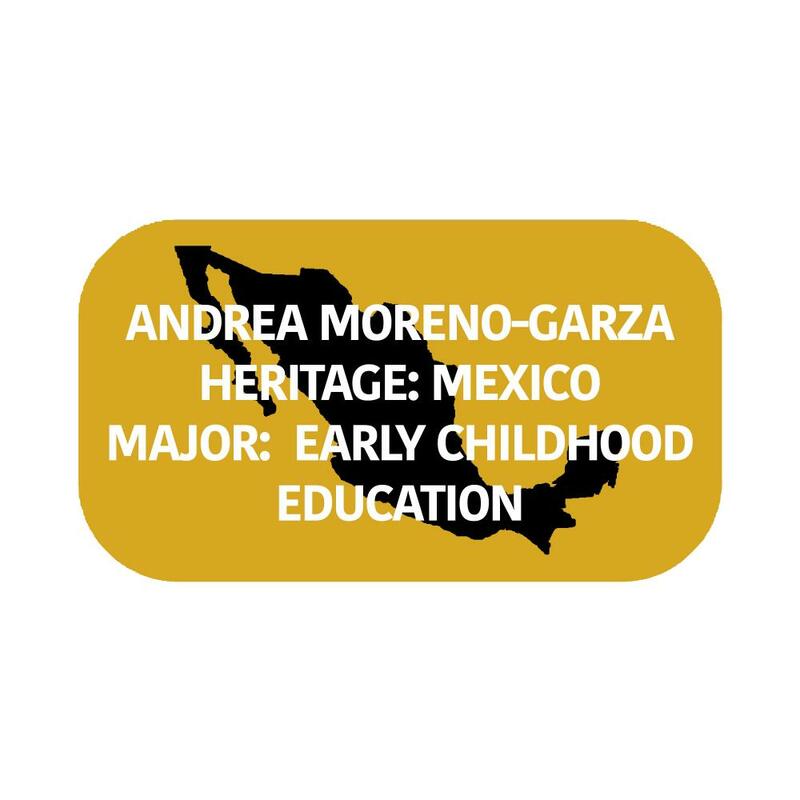 When early childhood education major Andrea Moreno-Garza moved to America a year ago, she found herself in an interesting situation: reliving her senior year of high school. She grew up in Saltillo, a city in Northeastern Mexico, not too far from the Texas border. She learned English through her father, who used the language frequently for work, and for the trips they would sometimes take over the border. Though she spent most of her life in Saltillo, she was born in Monclova, and as a child, her family would often travel back to visit for holidays, something she says is extremely important in the Mexican culture. Family, to her, represents much more for those from Mexico than she has seen in the United States. It goes beyond parents, siblings and grandparents; their families widen outward to include extended family and those not even blood-related. 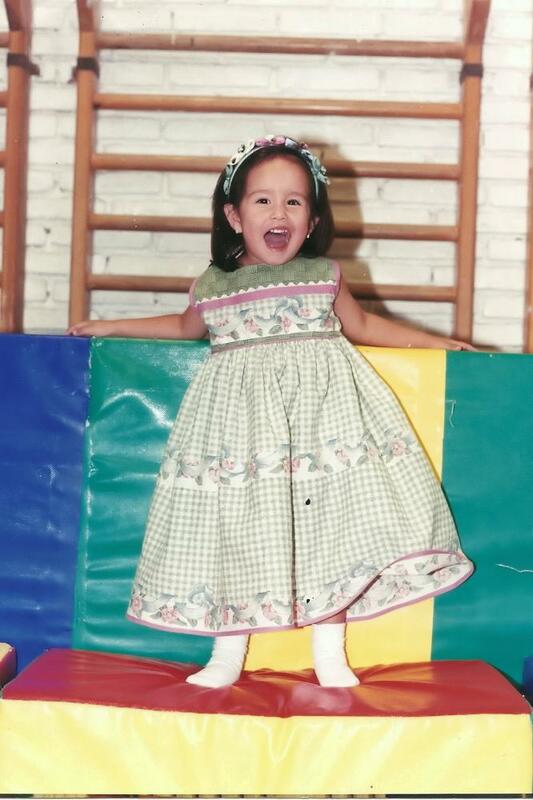 Andrea Moreno-Garza as a child. She said a big difference in Mexican and American culture lies in family dynamics. After her dad was transferred by his company a year ago, she and her family moved to America. For the most part, Moreno-Garza is loving the experience, but there are things, she said, she doesn’t like. While that experience was disheartening for her, Moreno-Garza said it also gave her strength. She feels more motivated now to educate others about the Mexican culture, to shed some light on the differences between other hispanic cultures. “Everyone thinks that all the Latinas or Hispanics here are Mexicans, and that’s not true,” Moreno-Garza said. Each Spanish-speaking country has its own culture, and even its own variant within the Spanish language. “Some words in Mexico can be okay to say, but if you go to a different Spanish speaking country and say the same word, you could get in trouble,” she said. 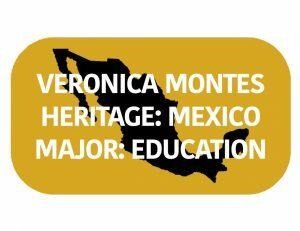 Her Mexican heritage is very important to her, and she thinks that it can be often misunderstood. “I think the American people don’t realize that people from Mexico are very hard-working, very caring people,” Moreno-Garza said. For her, being Mexican means never giving up on her dreams. A holder of dual-citizenship between the United States and Belize, Smith was born in New York, but raised in Belize. The only country connected to land in Central America to be considered Caribbean, she said people often have misconceptions about it. With a strong connection to African culture, the country plays a part in both Caribbean culture and Latin American culture. “Belize is probably one of the most diverse places on the planet in terms of how many different types of people are in one–might I add–very concentrated area,” Smith said. Smith, who grew up in an area that focused more heavily on its African background than Hispanic, said she does not speak Spanish, but Belizean Creole. 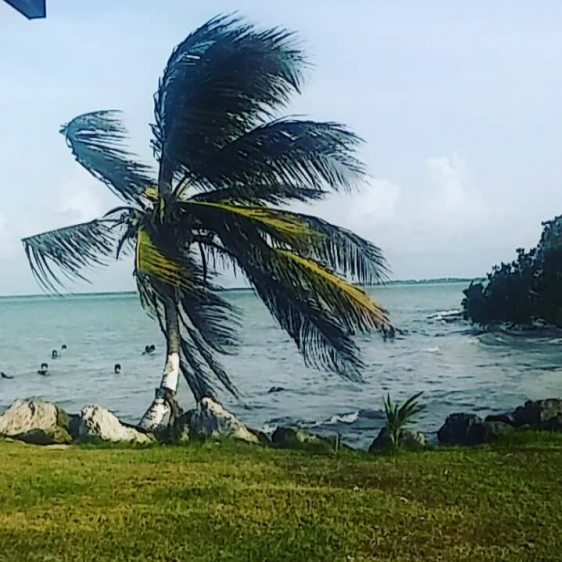 The official language of Belize, however, is English. 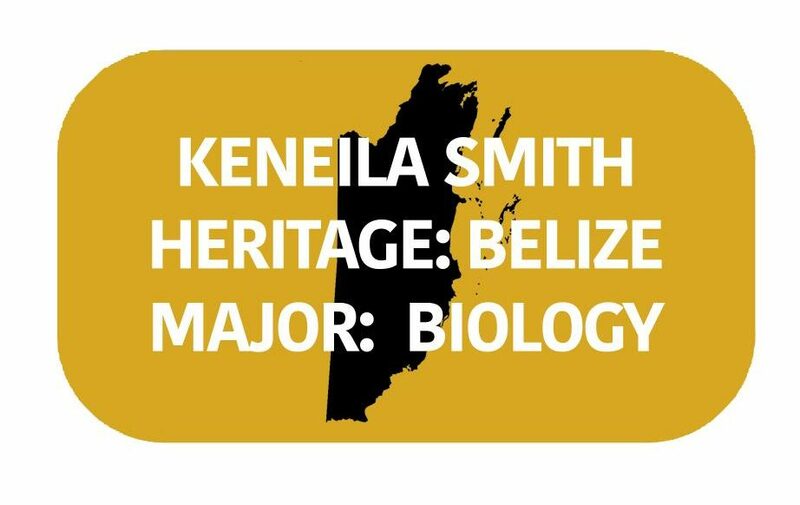 Kenelia grew up in sunny, warm Belize–what she calls one of the most diverse places on earth. “I mainly speak it at home. If I get upset, you’ll hear it come out in bursts and I try to contain it as much as possible,” Smith said. As a nation that strays away from the “traditional” picture of what Latin American culture might look like, Smith said she often encounters misconceptions from people. Despite her encounters with people who are only exposed to stereotypical Latin American culture, Smith said she does not get offended by people’s lack of knowledge. “I just use it as an opportunity to just let people know, I don’t take it personally by any means, just because with mainstream media and just lack of exposure, people really just don’t know,” Smith said. With a strongly diverse population, Smith said the food is just as eclectic, and her favorite part of the culture. Smith grew up in an area that focused more on its African roots rather than Hispanic. 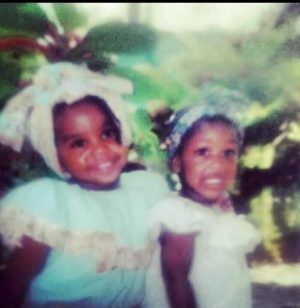 She speaks Belizean Creole. 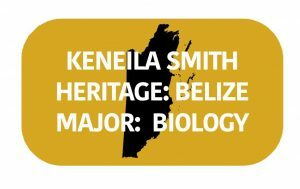 An on-campus resident, Smith said she lives in the Woodcrest Apartments and tends to cook a lot of Belizean food, but mainly rice, beans and homemade bread. What she appreciates most about preserving Latin American culture through Hispanic Heritage month, she said, is the opportunity for people to understand the culture as a whole, and not just what they have been exposed to. 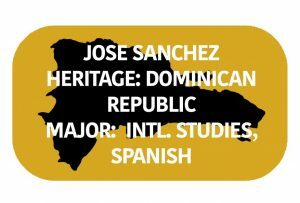 Jose Sanchez grew up immersed in two cultures; his parents grew up in the Dominican Republic while Sanchez grew up in Florence, Ky.
Sanchez said his favorite part of his culture is the music. One of the key differences Sanchez noticed between American culture and Dominican culture is the stronger sense of family the Dominican culture has. “In the US once you’re 18 you can move out, but over there it’s not so common. People tend to stick around with their families until they’re older and they have their own families,” Sanchez said. Sanchez last went to the Dominican Republic when he was in middle school; he was excited to see his cousins and relatives he hadn’t seen in a long time. Sanchez said he noticed a lot of differences between his cousins that were his age and himself. In addition to the language differences, he said even the movies and music they listened to contrasts with media from the United States. And while Sanchez played basketball in Florence, his cousins were into baseball, which dominates Dominican culture. To Sanchez, Hispanic Heritage Month serves as a way to highlight the culture in a way that is often overlooked. Though he has never been to Mexico, he said he thinks his parents have done a good job of incorporating it in his life; he listens to the music of his culture, entrenched in Hispanic rhythm. His favorite dish? Mole: a combination of salsa and chicken, paired with rice and beans. 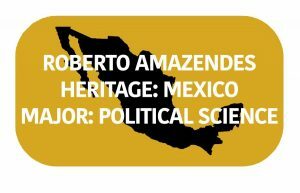 A freshman SGA senator, the NKU political science major is one of three members of Latino descent, up from one representative last year. With the Latino office, located on the third floor, he said Hispanic students are able to connect with one another. It’s a place where they can share their experiences, not only from their own country but learning about other cultures under the Latino umbrella as well. “For us to have our own month for Americans to get to know us is cool–to be able to realize what we’ve gone through and what we are, what we eat, what we speak and things like that,” Amazendes said. 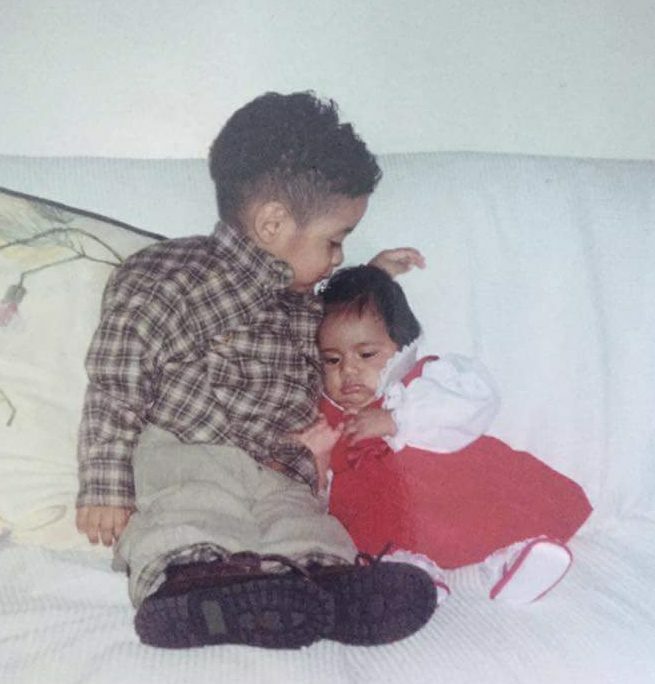 Roberto Amazendes and his younger sibling. He said his family is important to him. The majority of his family still lives in Mexico; in the states, he has his parents and some of their siblings plus his own siblings. With his political science major, he plans to be an immigration attorney, because the struggles he’s seen for Hispanics wanting to enter the U.S. It is something that’s always touched his heart, he said. He wants to help relieve some of the difficulties the Hispanic communities face. His family consists of an older brother going to school for Engineering and two younger sisters still in high school. Something he wishes people knew about his culture is the struggle they go through and the dedication they have toward working for a better life for their families. Growing up in a family of seven, Veronica Montes’ sizeable family is as integral to her heritage as the quinceaneras and Independence Day celebrations she often looks forward to sharing with them. 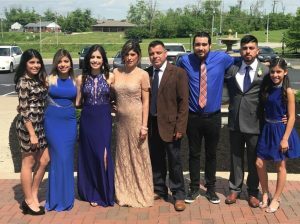 Though her parents are originally from Mexico, she and her four siblings have always called the United States their home. It is a family dynamic, she said, that has taught her to appreciate what she has, but also one that is often fun. The members of the Montes family are close enough to encourage each other to succeed. Montes’ older sister Jennifer, who functions as a leader of sorts, is a senior at NKU. She plans on attending pharmacy school next year after she completes her Biological Science major. “She’s the reason I even chose to come to NKU,” Montes, a freshman human resources major, said. A recipient of a full-ride Educational Diversity Scholarship, she is thankful that her parents have not had to put any money toward education and hopes that her younger siblings follow her own path. Montes credits her large family as one of her biggest motivational forces. Before beginning her college career, she attended Dixie Heights High School, where she felt a lack of inclusion. 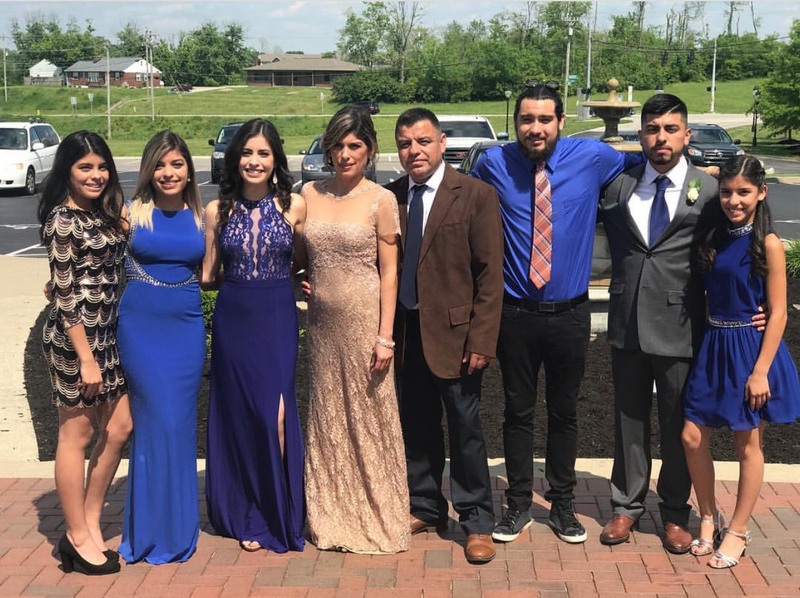 Thanks to NKU’s Latino Programs and Services, she feels like she is part of a community in college. For Miguel Rodriguez, the messy, but delicious authentic food is his favorite piece of his Mexican heritage. Even at his cousins’ house, he said, the food is not the same as it is at home. 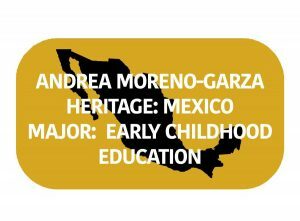 Rodriguez, a freshman at NKU, was born in Mexico and came to the United States at three years old, moving to the Cincinnati area at five. Having lived so long in the U.S., Rodriguez said food helps keep his connection to Mexico strong. “Since I haven’t been to Mexico in a while, that’s one of those things I would like to preserve. It’s like the only connection I have with my home country,” Rodriguez said. 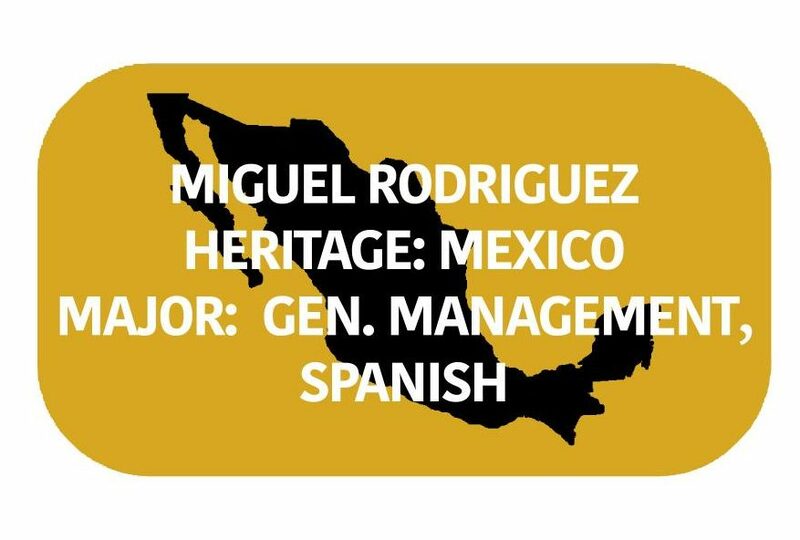 With so many cultural differences between Mexico and the U.S., Rodriguez said it is hard balancing the desire to conserve his Mexican heritage while still adhering to American customs. An example, Rodriguez said, are holidays. While Mexicans do not celebrate holidays like Thanksgiving, Americans don’t celebrate Mexican Christmas, which has an array of celebrations that last until Feb. 2. “[On Christmas] your whole family goes to one house and they eat food, drinks, music, and you stay up all night. And whatever’s left over, you eat it all week,” Rodriguez said. 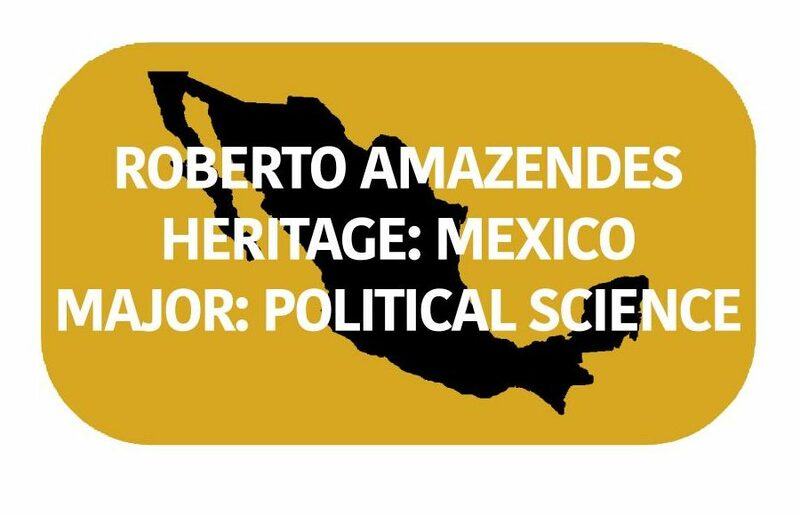 Rodriguez said that, despite these traditions, he would be lost if he went to Mexico now, since he has lived in the U.S. for most of his life. His last visit was in 2012 to see his family, and he said it was not what he expected. To add to the culture shock, Rodriguez said he was introduced to a lot of new family members, and reunited with ones he had not seen in a long time. 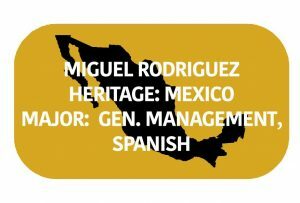 What is important to Rodriguez, aside from his own family’s cultural background, is learning more about other Latino backgrounds. 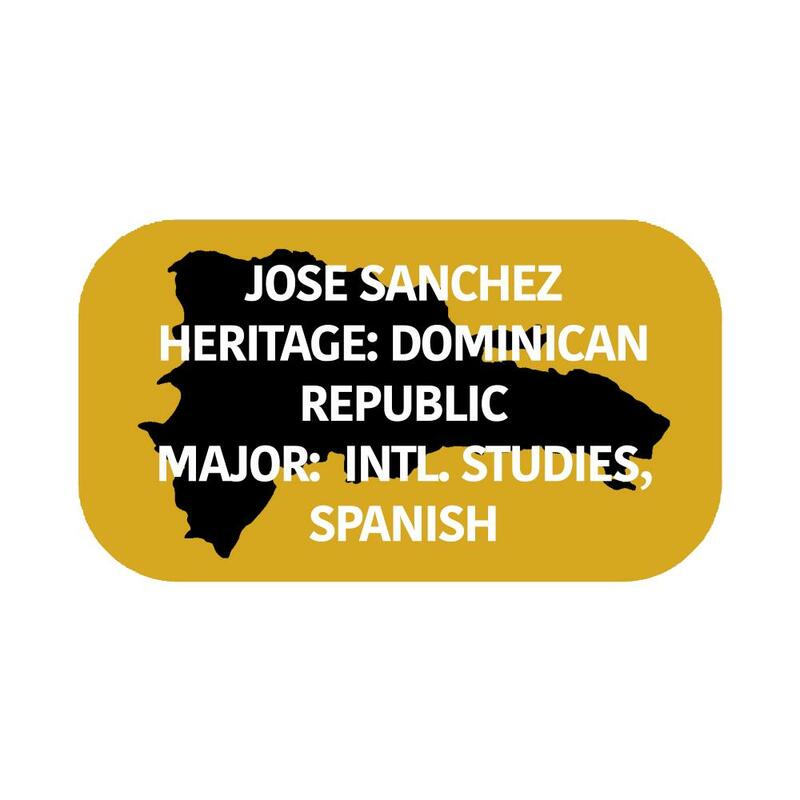 According to him, there are a lot of different backgrounds he is not familiar with, and Hispanic Heritage Month gives him an opportunity to explore that more. “There’s many different Latino cultures here, so we all have different traditions…so it’s like a time to express how you feel about specifically your heritage, and it’s also a time where you can learn about their heritage as Latinos,” Rodriguez said.